WebClimb is a web design agency based in Widnes, Cheshire. We design and develop professional and engaging websites to enhance your company’s branding and advertising campaigns. We specialise in website design for desktop and mobile use, logo design and search engine optimisation (SEO). WebClimb are offering Chamber Members a discounted website service and company rebrand. Delivery of the company logo in multiple files sizing and types to provide capability for use in all instances. 3 Revisions to ensure client satisfaction. For more information please contact the Chamber on 0333 358 3480. In the business world, where trust is currency, every company needs to harness their written content and treat each word as the powerful sales tool it is. That’s where Honest Cat Content Services comes in. A journalist-led copywriting agency, we are the literary juggernauts, the heavyweights in professional prose, the spin doctors of the written word. Every word we write is crafted by seasoned journalists and editors who are experts at creating high quality, innovative, original content to convey your message and engage with potential buyers, consumers and staff members. We work with many businesses from finance to hospitality, from big industry to sports, food and travel and many in between, providing a whole spectrum of copy from website wording and press releases to emails and newsletters, blogs and press packs, tweets and slogans. In short, we can provide every written word for your company. We specialise in providing crisp, innovate and engaging copywriting which is as scientific as it is creative. We understand that no two brands are the same, so Honest Cat Content Services works closely with each individual brand to find the best wording for them. We get to know their brand, audience, key messages, aims and what makes them tick, so we can create business words that target and appeal to both current and future clients. As a Halton resident and a Chamber member I am passionate about local business, and helping them succeed. If your businesses needs a weekly blog, a slogan or two, a website rewrite or a sales brochure, a killer press release, social media management - or anything in-between we would love to help. Honest Cat Content Services is a journalist led copywriting agency, we specialise in creating business words that help your business stand out from the crowd. Get in contact today and let’s meet for a chat over coffee. Willmor Financial Services are very pleased to join the Halton Chamber, We are based in Runcorn, Frodsham and St helens. We offer Comprehensive Mortgage and protection advise for clients offering all members a free no obligation confidential review of any current mortgages or potential new mortgages they are looking at or to assess any potential insurance requirements whether that be life insurance, business insurance or general buildings and contents insurance along with landlord insurance we are here to help and look forward to meeting you all soon. Scarlett Rose Events have been creating bespoke events for over 20 years. For all businesses, the greatest asset is your employees, ensuring they are valued can take time and resources that many businesses just can’t spare. Scarlett Rose Events can take all that hassle from you by creating those events that show your employees how much the business values their hard work and commitment. This can be anything from Sales Team monthly/quarterly incentive lunches, to yearly business awards, ensuring all your employees receive the reward and recognition you want to give them, which in turn increases productivity. No matter what your budget, Scarlett Rose Events will arrange everything from sending out invitations, arranging venues and catering, to ensuring the venue is dressed and awards are ready to be presented. Scarlett Rose Events are even able to host the event too if needed, giving senior management the opportunity to be visible and show their appreciation to employees. Scarlett Rose provide full project management throughout the process, giving regular feedback and updates. For all events booked by 28th February a 50% discount will be given to the standard hourly rate. My Clients get the most out of LinkedIn with more Views, Connections and Business. I'm a Doer, a Sharer and a Trainer with all things LinkedIn at all Levels - 8 Modules (from beginner to expert). First Capital Cashflow, which is a Bottomline Technologies Company, opens up access to the Bacs scheme, offering a Direct Debit collection and management solution for organisations unable to obtain their own SUN. We provide simple, compliant and secure cloud-based Direct Debit solutions for a wide range of sectors, removing the complexity and concern around regulation, IT software, security and risk. First Capital Cashflow manages the whole customer collection process. Our professional and qualified Bacs team, backed by market-leading software, offers our customers the reassurance that they are fully supported and compliant with the Direct Debit scheme rules. Free translation of an introductory letter from English to Portuguese. Are you looking to introduce yourself, your business and its products to the Portuguese market? More and more businesses are going overseas in search of new markets to sell their goods and services. If one of those countries is Portugal, then I have an offer for you. I have been translating professionally for over 20 years, and I also have a background in Chemical Engineering, which is a huge advantage if you are an engineering company who wants to deal in Portuguese speaking countries. However, it’s not just engineering companies who are doing well in Portugal. As every year passes there are more and more opportunities for trading and doing business with the Portuguese market, from science and technology to food and lifestyle products. I would like to offer to my fellow Halton Chamber members, a free taster introductory letter translation from English to Portuguese, English word count to be approximately 350 words. This is an excellent opportunity for businesses in Halton to speak directly to Portuguese clients, in their language, which will not only make a good impression, but it ensures nothing is lost in translation. 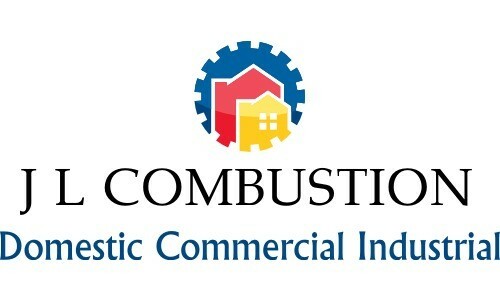 JL Combustion Ltd are a Halton based commercial and domestic heating company. As a new member of Halton Chamber, they will be offering 10% off commercial gas services and safety checks to all Chamber members. JL Combustion LTD can provide heating and gas services for commercial offices, industrial units, warehouses and production processes, providing gas service/installation in all aspects. The business also includes all forms of domestic gas works. Local business and BID member MACs Automotive are offering a discounted service and MOT to celebrate their one year anniversary on Astmoor Industrial Estate. The cost of an interim service and MOT in just £89 and for an MOT, it’s only £38. MACs also provide a free collection from anywhere in Runcorn and the local area. Your car can be collected whilst you are in work and delivered back to you before you need to leave to go home. How can legal services increase the value of your business? You’ve worked hard to build your business, but when it comes to exit planning there are a number of factors that will affect the value you achieve, in addition to financial performance. Even if you are not looking to sell your business right now, the value it produces each year for you could be severely eroded if you don’t have the correct legal agreements in place. Do you have written terms and conditions in place with your key customers? What restrictive covenants do you have in place with your management team should they decide to join a competitor? Are your employment contracts, employee handbooks and policies up to date and compliant with current legislation? Are your credit management procedures working? Is unrecovered debt affecting your cash-flow? Rowlinsons Solicitors, an award-winning law firm, are offering Chamber Members a free ‘Legal Heath Check’. Whether you are currently looking to sell your business or planning for the future this will review your existing level of legal protection and identify any areas of weakness that you might wish to address. To take advantage of this offer please call 0333 358 3480. DISCOUNTED OFFICE CLEANING FOR ALL MEMBERS OF HALTON CHAMBER OF COMMERCE AND ALL COMPANIES ON ASTMOOR AND HALEBANK BID AREAS!! Local award winning commercial cleaning company Hardman Office & Commercial Cleaning Ltd are offering reduced rates to all businesses who are either located on the Astmoor/Halebank business areas or are members of Halton Chamber of Commerce. Hardman Office & Commercial Cleaning Ltd have been members of Halton Chamber of Commerce for a number of years and recently won the Award for Outstanding Customer Service at the 2018 Halton Business Awards. This followed 2 consecutive years of being awarded Highly Commended status in the same award category. * A Free of Charge initial thorough clean prior to the commencement of the cleaning service. Hardman's are a family run business who are proud to contribute to the local community and help quite a few local charities by financial donations and providing reduced rates or non-profit cleaning services. If you would like to speak to us at Hardman Office & Commercial Cleaning Ltd please call the Chamber on 0333 358 3480. OHSS would like to offer Halton Chamber of Commerce members a 15% discount on all courses. Take advantage of Targeted advertising through our B2B magazine with a readership over 20,000+ business owners/leaders. Sell your products/services to the business community of Cheshire and the Northwest in print through our magazine or online through our B2B news website. Also, any chamber members can have a free editorial on their business in the magazine. Plus for every £1 spent with us on advertising we will reward you with 66% back in points through our Cheshire Media reward prepaid card. The best thing is that those points can be spent anywhere that accepts MasterCard. We are offering 10% off your first order for exhibition services: including design, manufacture and instalation to all Halton Chamber of Commerce and Enterprise members. We are offering 10% off accomodation, restaurant and bar facilties and meeting rooms to all Halton Chamber of Commerce and Enterprise members. Halton Chamber members can claim up to 40% OFF at IN’n’OUT Autocentres in Warrington!! Experience our refreshingly different approach to car servicing at your local IN'n'OUT centre. All prices are fixed, any make or model with no hidden extras! Find us on Winwick Road (next to The Range), Warrington, WA2 8HJ. *T&C’s apply. To BOOK submit your details here – www.in-n-out.co.uk/staffdiscounts or call 0333 347 9999 and mention ‘Halton Chamber’ to claim the discounted pricing. 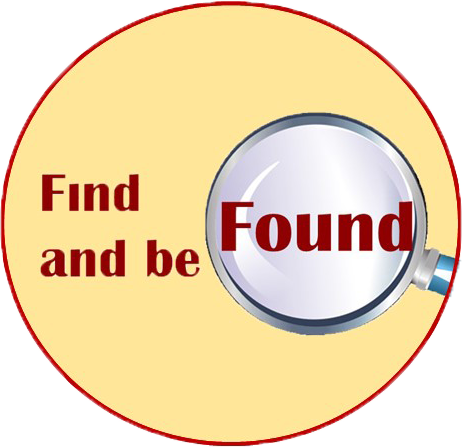 This scheme is usually priced at £15.00 per unit to cover collection, secure erasure of data, all reporting and ring fencing of the equipment for donation back to the community. Chamber Members receive all this for JUST £10.00 per unit.